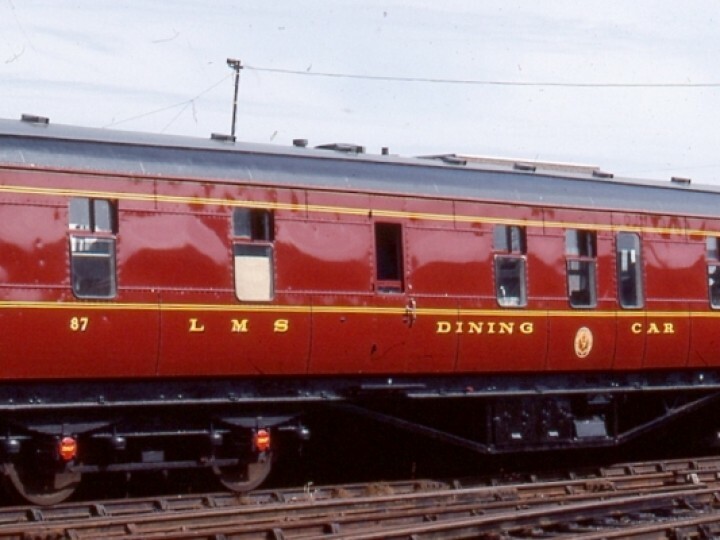 In 1948, the LMS NCC planned to add a new Dining Car for use in its steam-hauled trains. Later that year the railway was nationalised, and so it was that the Ulster Transport Authority actually built 87 in 1950. Constructed at Dunmurry bus bodyshop on a surplus underframe dating from a batch from 1936/40, 87 on completion was transported by the UTA Road Freight Division to York Road Station, a picture of this move at Belfast City Hall appears on page 47 in Mark Kennedy's book "The LMS in Ireland". 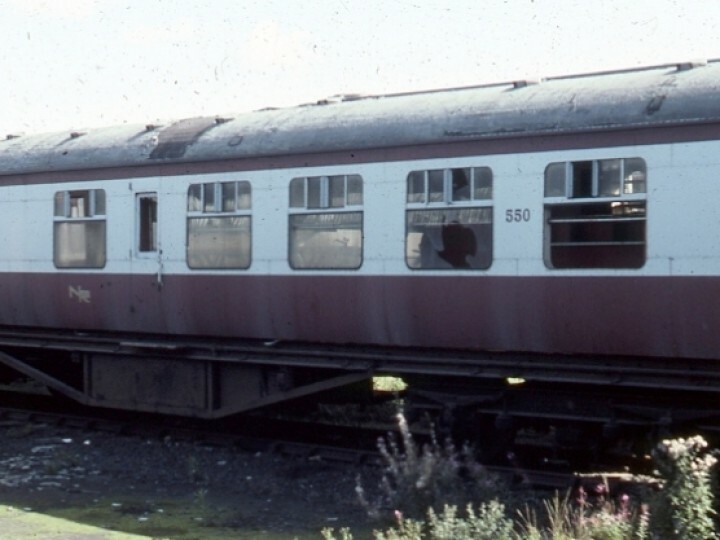 87 was the only passenger-carrying vehicle to be built at Dunmurry, but several "brown vans" and a series of goods wagons were built there. 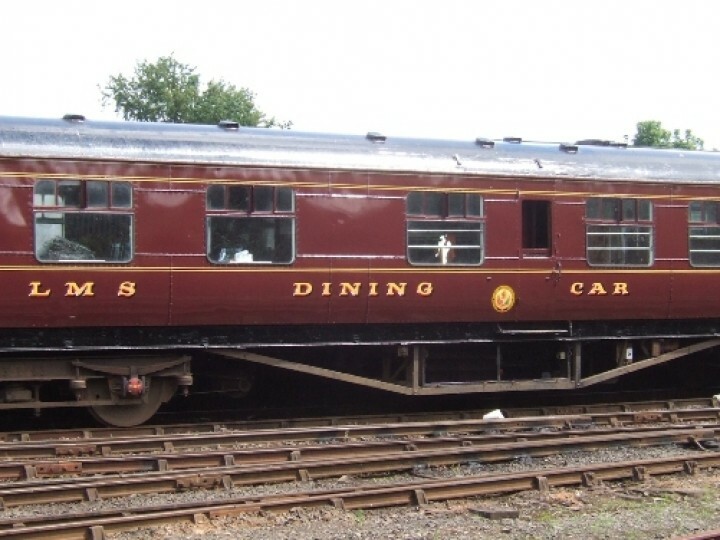 87 entered service on 6th May 1950; the event was reported in the UTA financial report for the year ended 30/9/1950, including a picture of 87 at York Road branded "Restaurant Car". 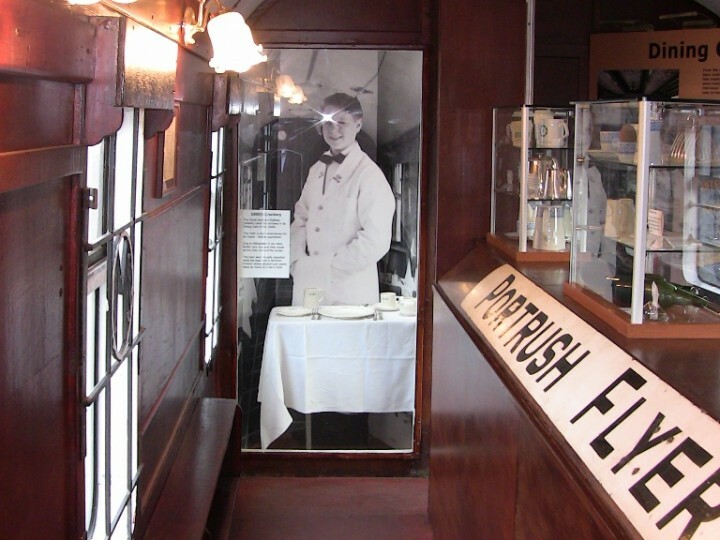 The vehicle is classified as a B5 First Diner, seating 15 in five rows of 3 with loose chairs across the width of the carriage at tables in a saloon at one end of the carriage. 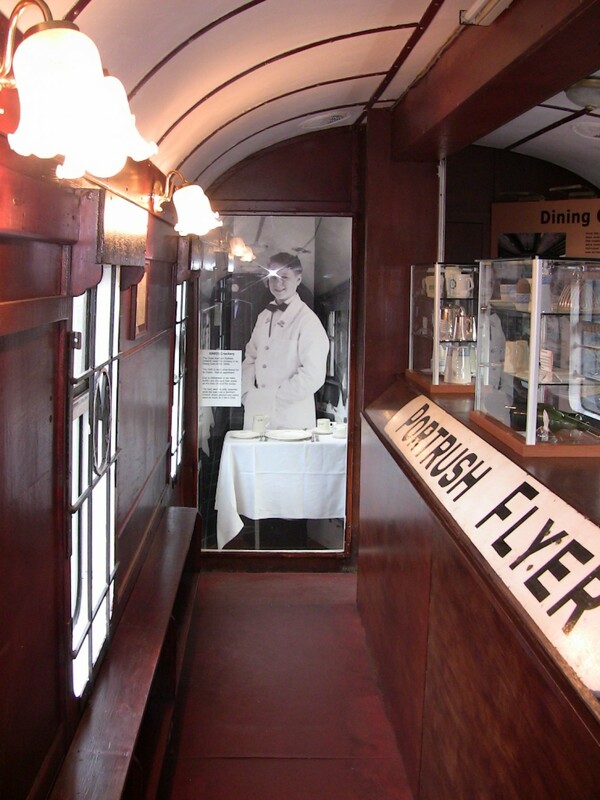 The other end of the carriage contained the cocktail bar, kitchen and pantry. 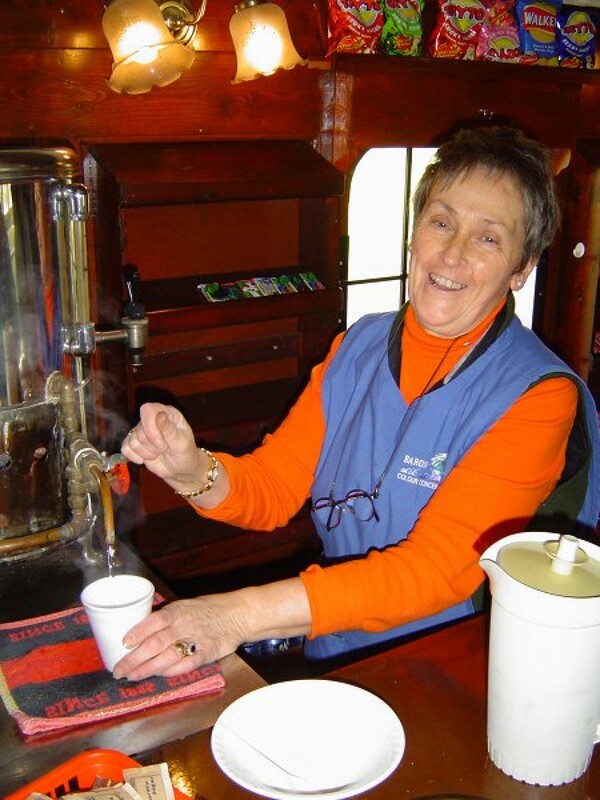 87 was used with the UTA's steam trains for many years, initially as part of the "Festival" train. When the Queen and the Duke of Edinburgh visited Northern Ireland in 1953, 87 was one of three catering vehicles used in their Royal Train. In the late 1950s diesel trains were slowly beginning to replace steam. 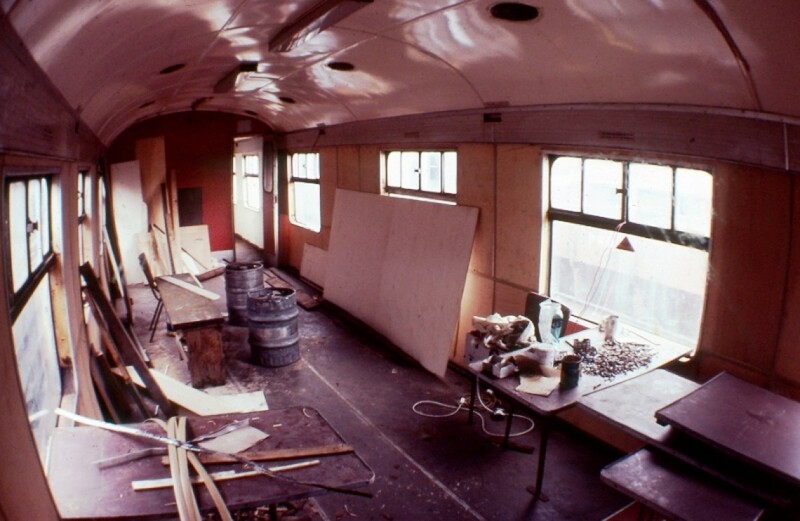 The coach was wired for working with MPDs (Multi-Purpose Diesels) in October 1957, when the seating was re-configured to 30 passengers; this was achieved by reducing the kitchen area. A further refit in April 1964 increased the seating to 34. Under the UTA renumbering scheme in 1959, 87 became 550. 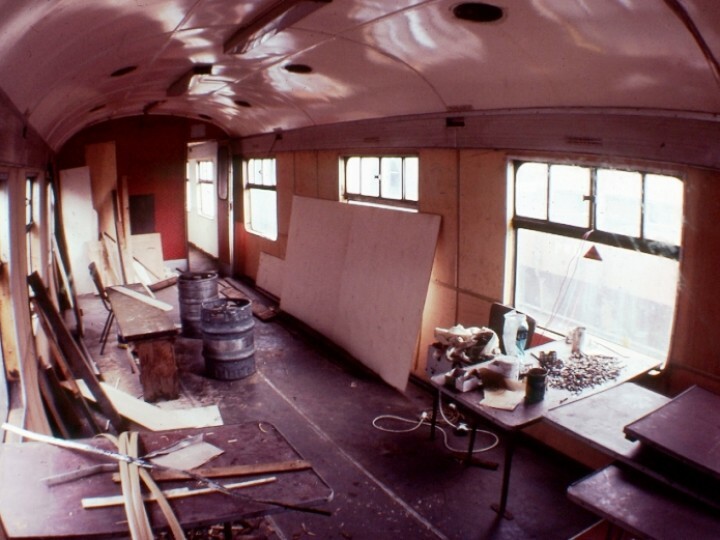 It was fitted for working with 70 class diesel-electric railcars in May 1966. 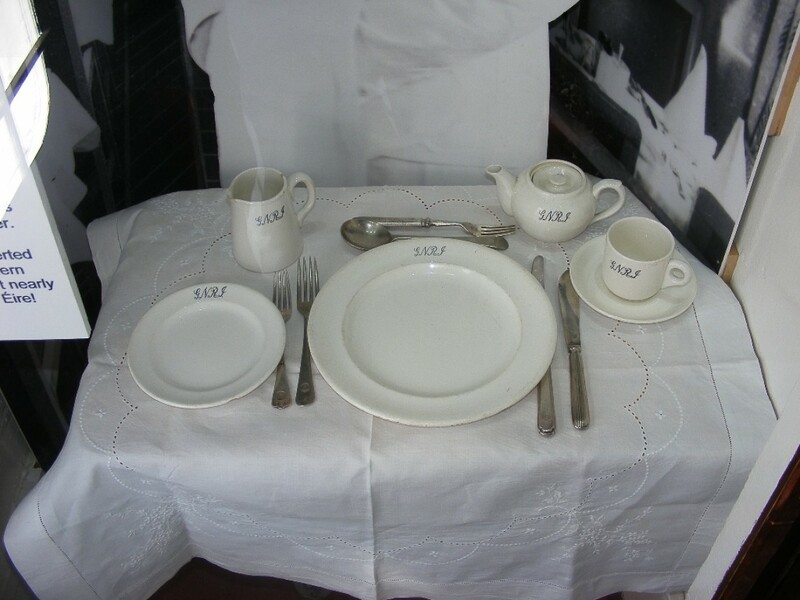 In the early 1970s Northern Ireland Railways stopped using dining cars, except on the Enterprise service, and 550 went into storage until withdrawn by NIR in 1972, passing to the Railway Preservation Sociiety of Ireland in 1978. 550 was acquired by the Railway Preservation Society of Ireland and restored for use on its preserved steam trains. It regained the number 87, and to match the other preserved carriages was painted in an LMS NCC livery it had never carried before. 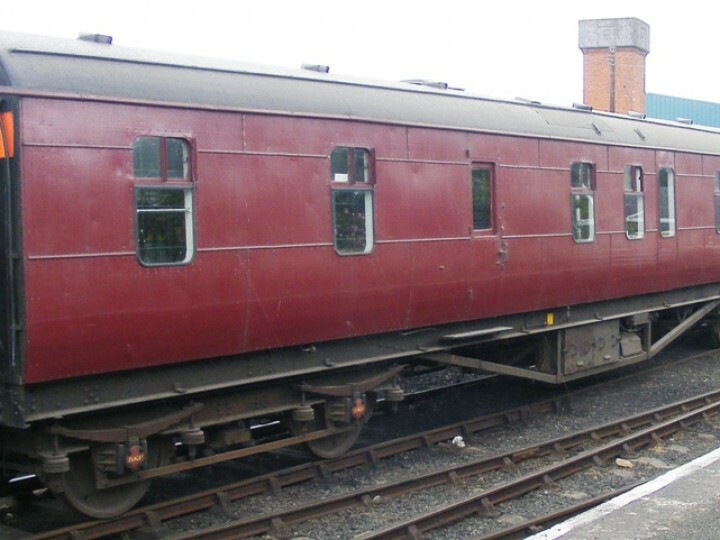 This was considered to be a suitable livery because the vehicle had been designed by the NCC, and that company had developed a post-war livery which suited a flush sided wooden bodied coach. 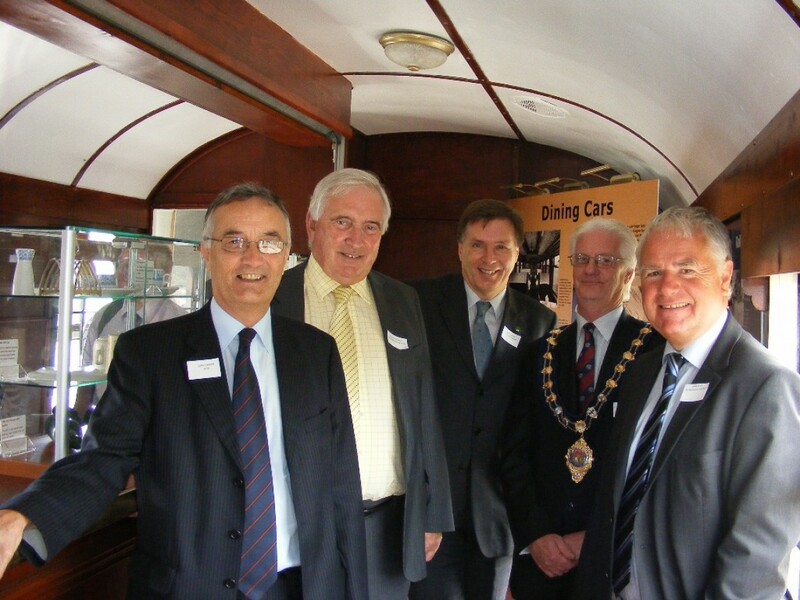 Pulled by the Society's steam engines and staffed by volunteers, 87 travelled the railway network for twenty years. In the early 2000s government legislation decreed that wooden bodied carriages were no longer suitable for main line use. 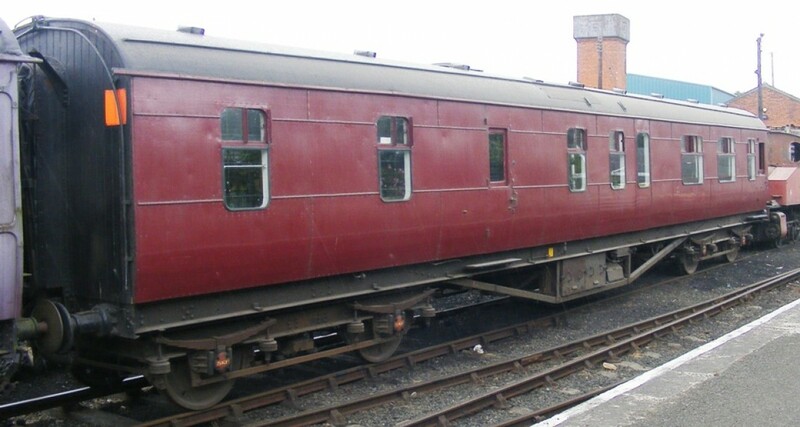 Along with 6 other vintage wooden carriages, now also no longer allowed on the main line, its last outing was in December 2003. Using the RPSI's museum status, a grant application was produced which proposed to transform 87 into a working museum exhibit for display and use on our "Summer Steam" open days. 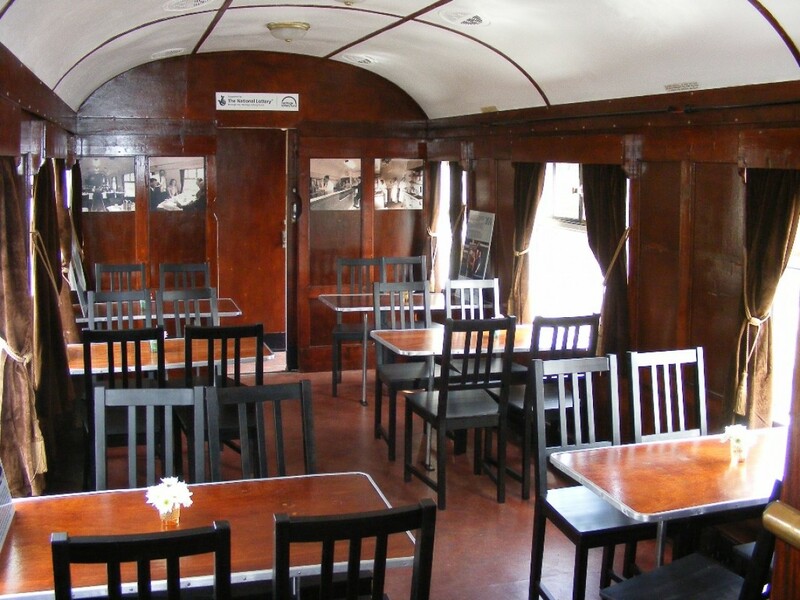 The tea bar and seating area would be refurbished, while the former bar area at the other end of the coach would become an exhibition space telling the story of railway dining cars. This would be the first time small exhibits belong to the RPSI would be on public display. 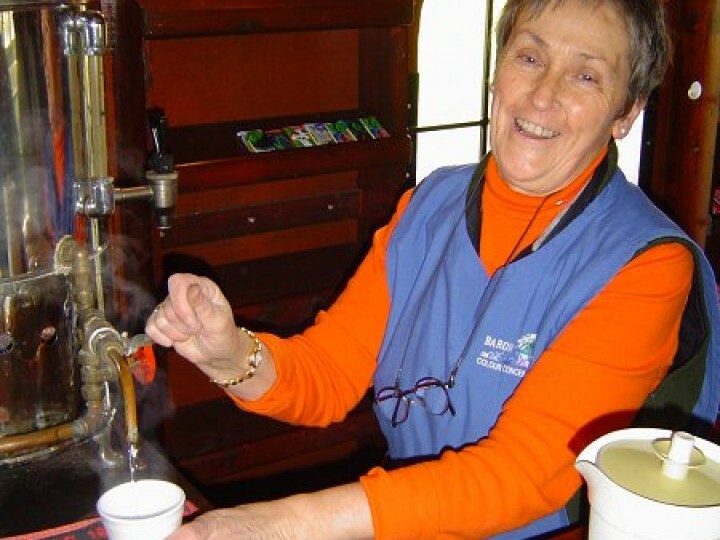 The work was funded by the Northern Ireland Musuems Council and the Heritage Lottery Fund.